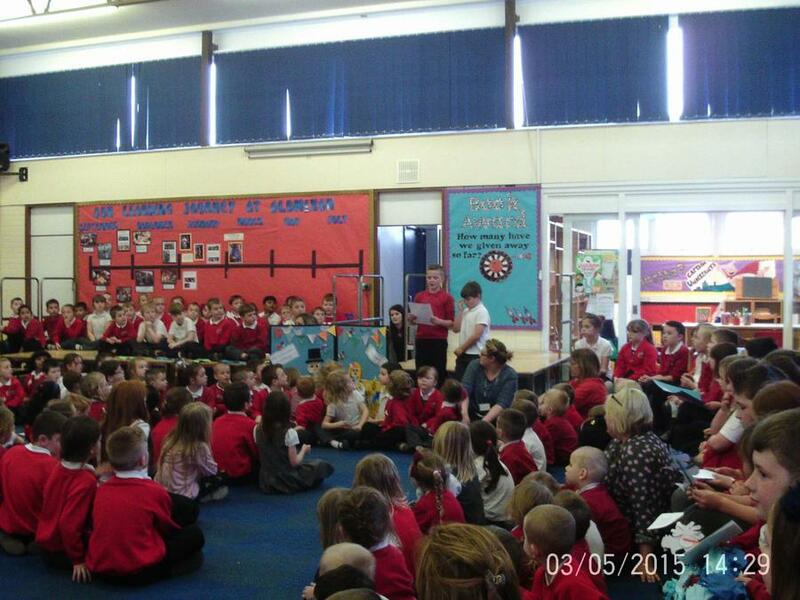 Our school celebrated World Book Day on Thursday. In each class we chose our favourite book and showcased it in assembly. 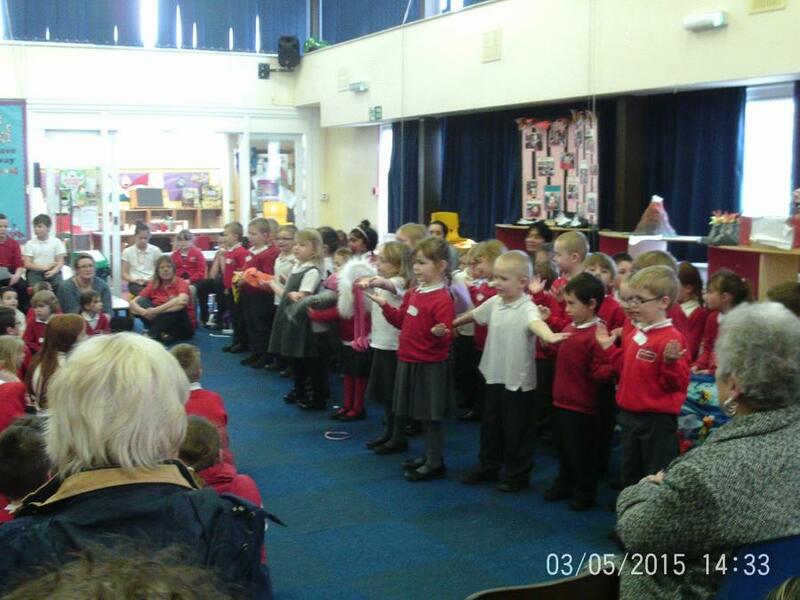 Reception - The children in reception sang and danced to the Animal Boogie. Year 1 - Year 1 children reviewed their book,The Scarecrows Wedding. William said "I liked the cows because they had bells"
Regan said "I like think is story because it is funny"
Will said " My favourite character is Harry because he is kind"
Kieran said "I like this book because all the animals on the farm help Harry and Betty"
Year 2 - The Year 2 children used an acrostic poem to highlight the best parts of their book Mr Seahorse. 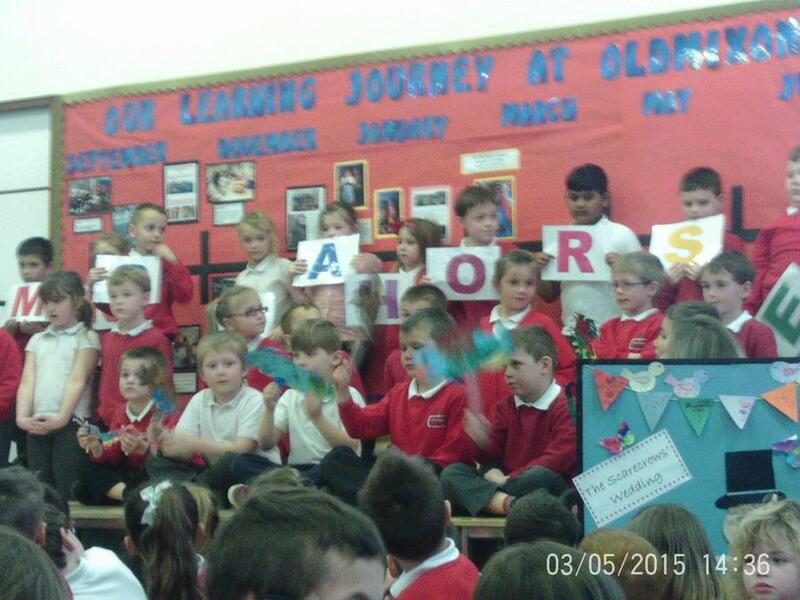 Year 3 - Year 3 performed a poem about the book, The Snail and the Whale. 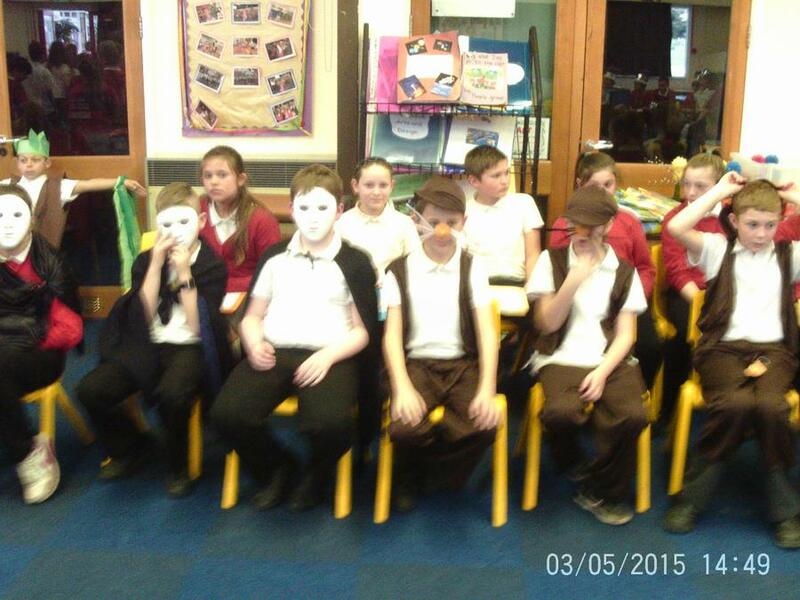 Year 4 - Year 4 used puppets to retell the story of Pirate Curse. 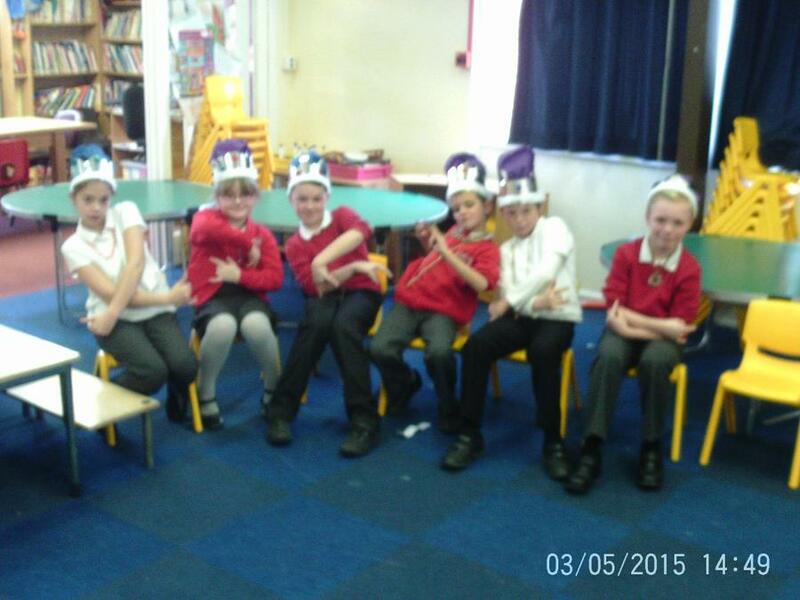 Year 5 - Year 5 wrote the Queens speach and performed it, this was linked to the book Gangster Granny. 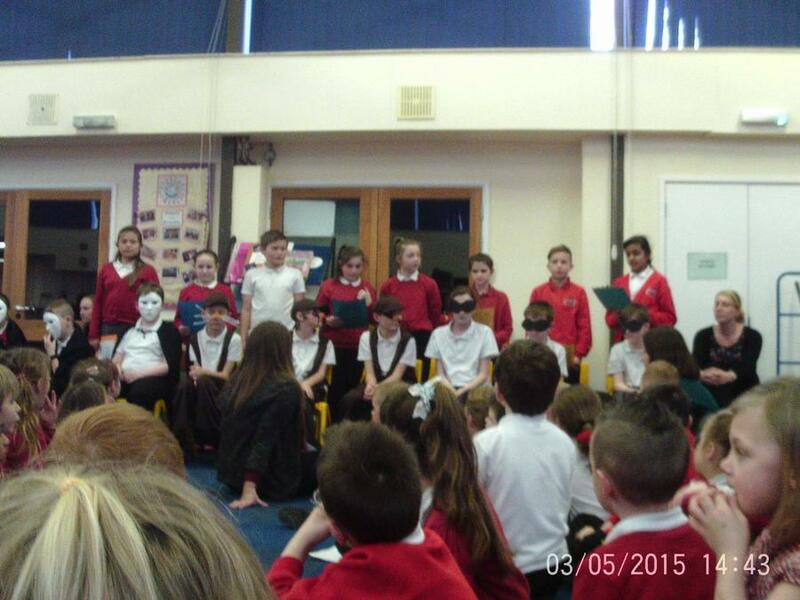 Year 6 - Year 6 read the Jabberwocky poem and used drama to capture the audiences imagination.